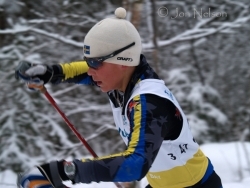 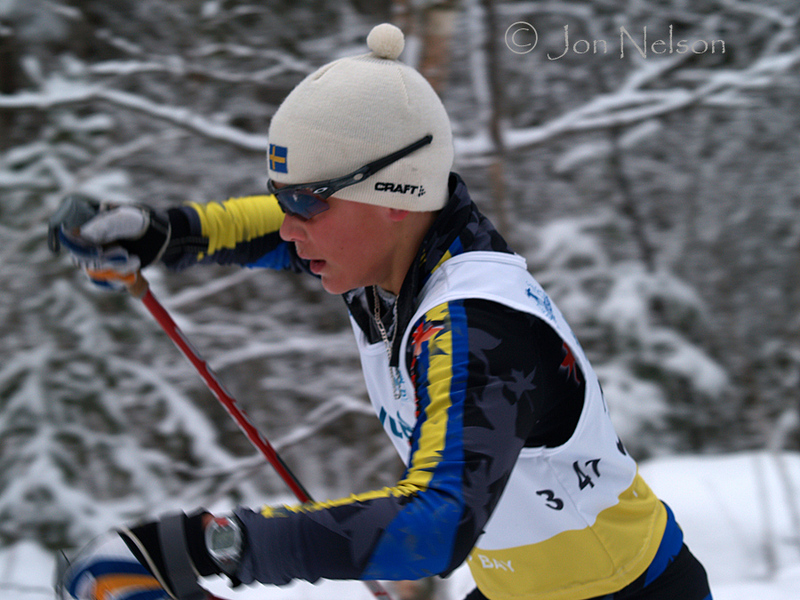 Posted January 10, 2012 in Cross Country Skiing Photography. 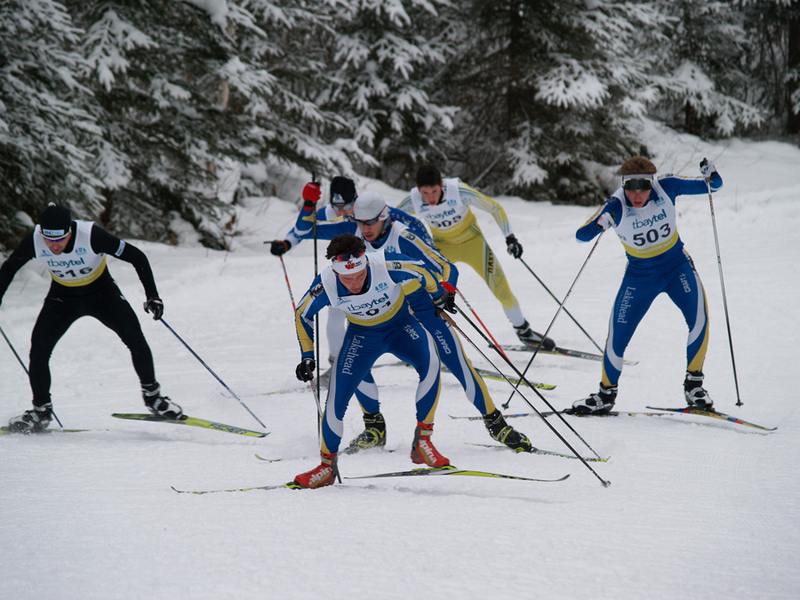 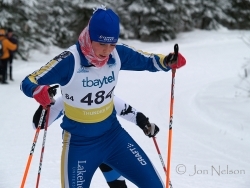 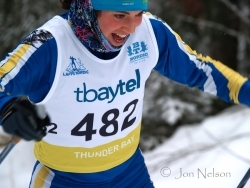 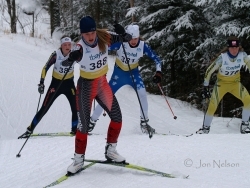 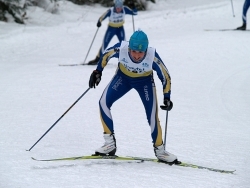 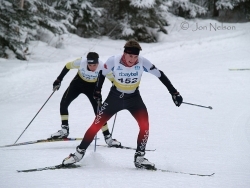 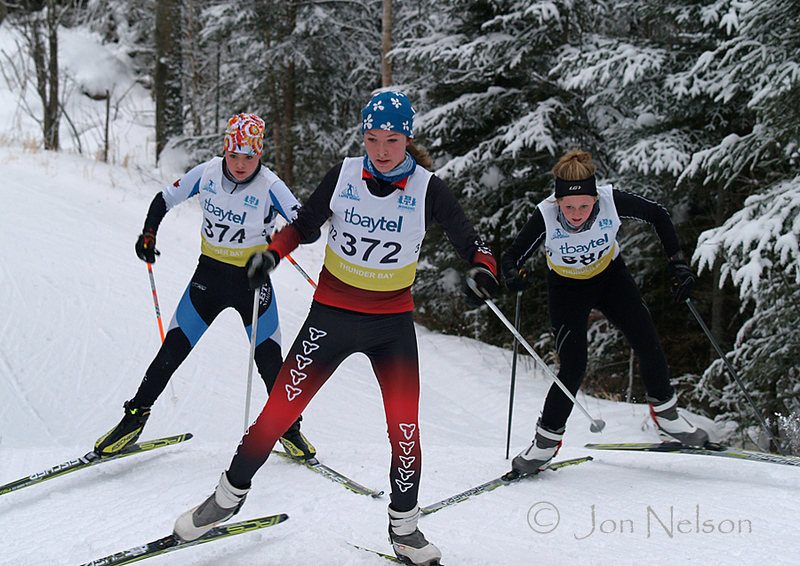 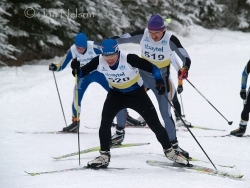 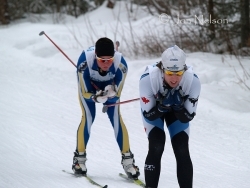 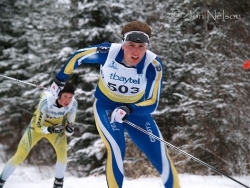 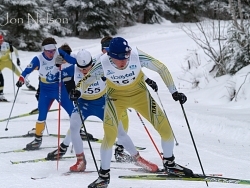 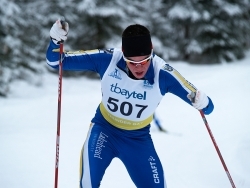 The Freestyle Races of theOntario Cup were held on January 8 at the Lappe Nordic Centre. 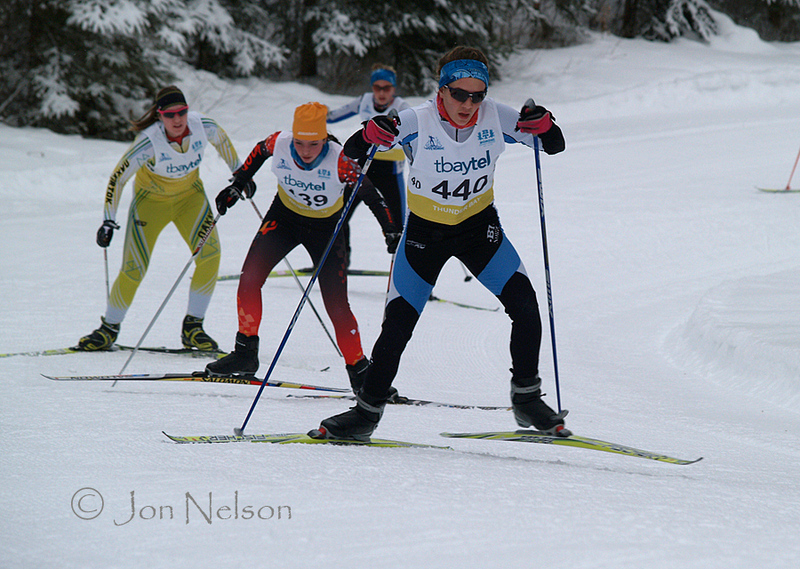 Madison Fraser leads a pack of three Juvenile Girls. 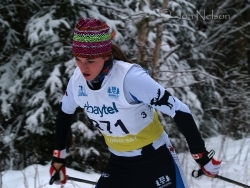 Mia Serratore skis by herself for a while during the 10 km Juvenile Girls race. Anna Kroeker heads a group of Juvenile Girls during a portion of the 5 km race. 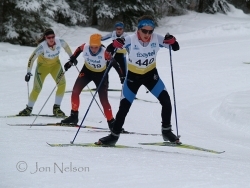 Logan Hong racing in the Juvenile Girls 10km skate race. 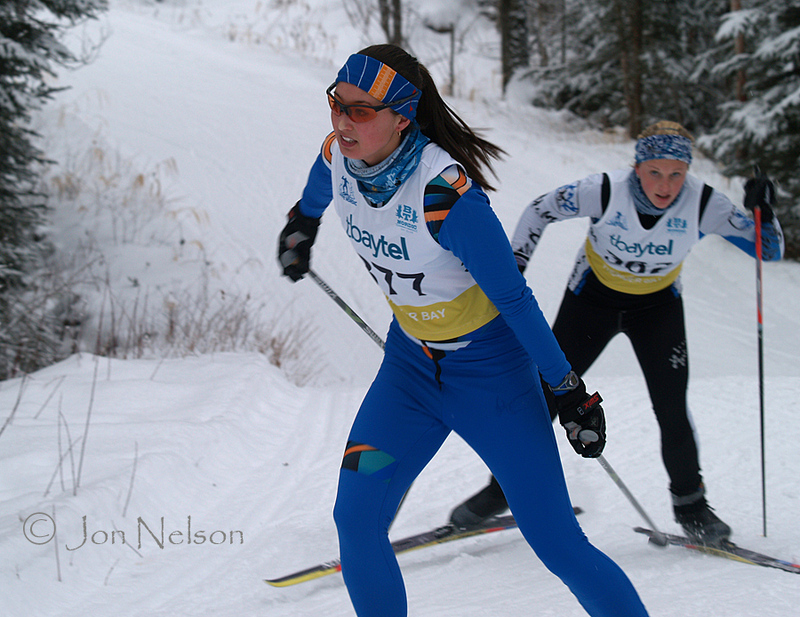 Nicole Dumonski leads a group of Junior Girls in the 15 km skate race. 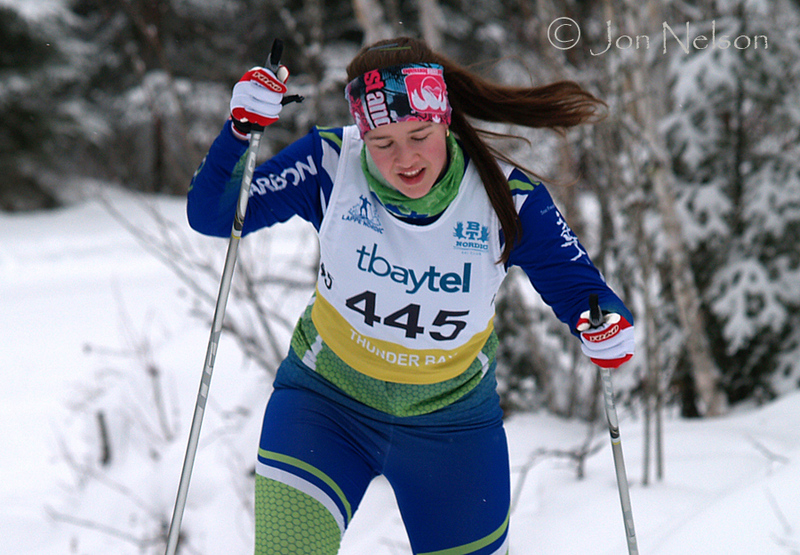 Moira Haggerty skates to victory in the Junior Womens race. Erin Tomie skis up a hill in the Junior Girl's race. 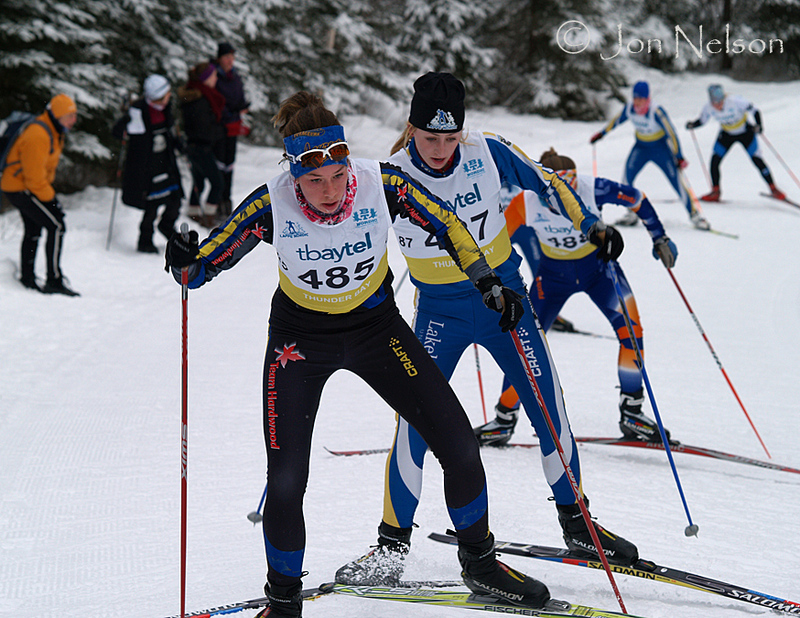 Candace Ball skis in front of a line of Senior Women. 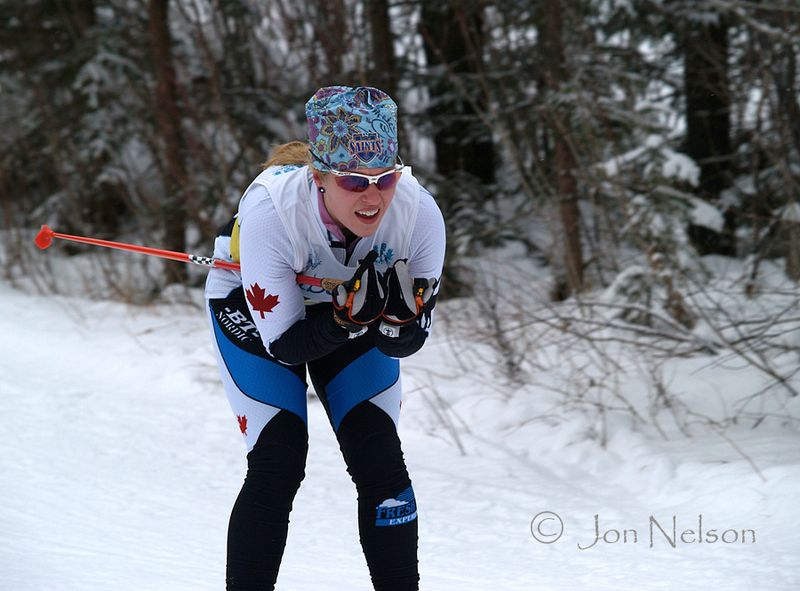 Mary Thompson on her way to victory in the Senior Wonen's 10 Skate Race. Daphne Hagerty happy to reach the top of 'the Grunt' at Lappe Nordic Centre during the 10km Senior Women's Skate Race. 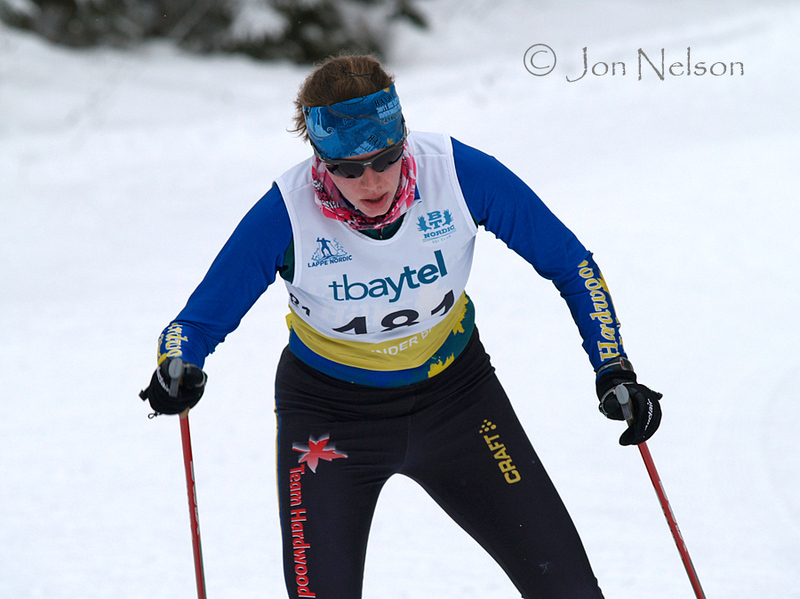 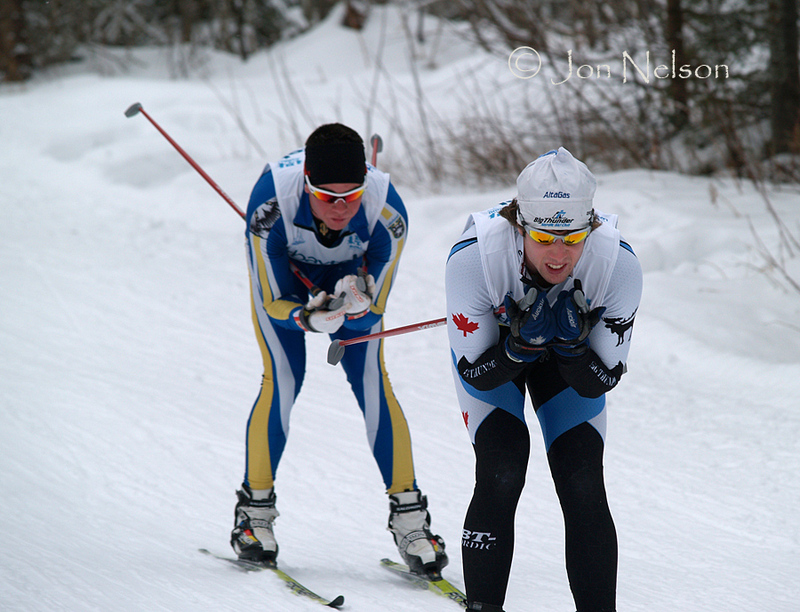 Daphne Haggerty begins a climb at Lappe Nordic. 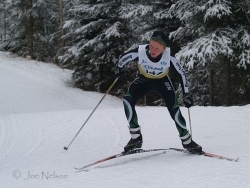 A Lappe Nordic Skier takes advantage of a slight downhill. 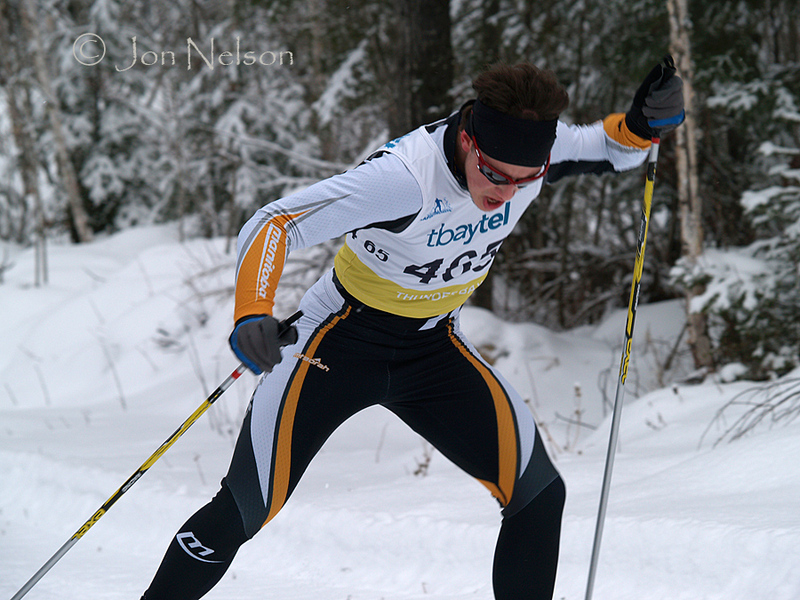 A Big Thunder Nordic skier glides by on a downhill portion of the race. 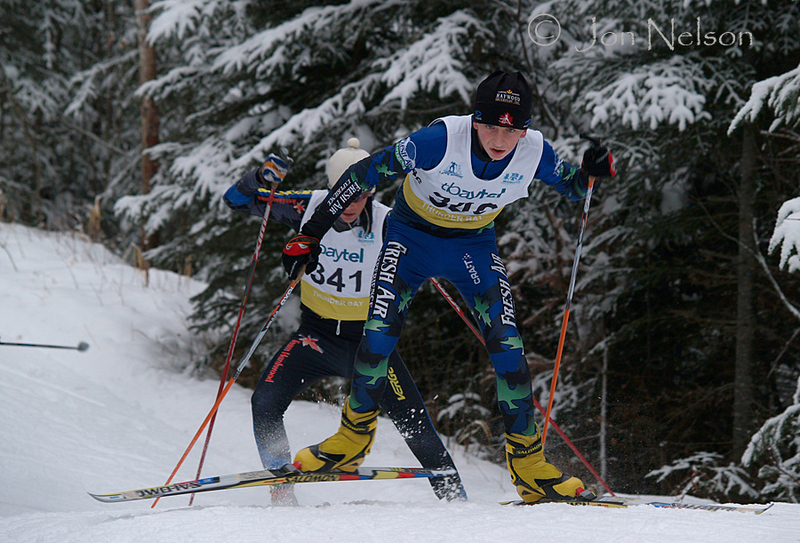 Alex Drewe nears the top of a steep hill during the Junior Boys 10 km Skate Race. 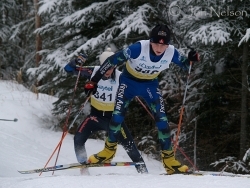 Two Midget Boys skate up a hill coming out of the stadium area. Austin Valyas won a Bronze medal in Midget Boy's 5 km skate race. 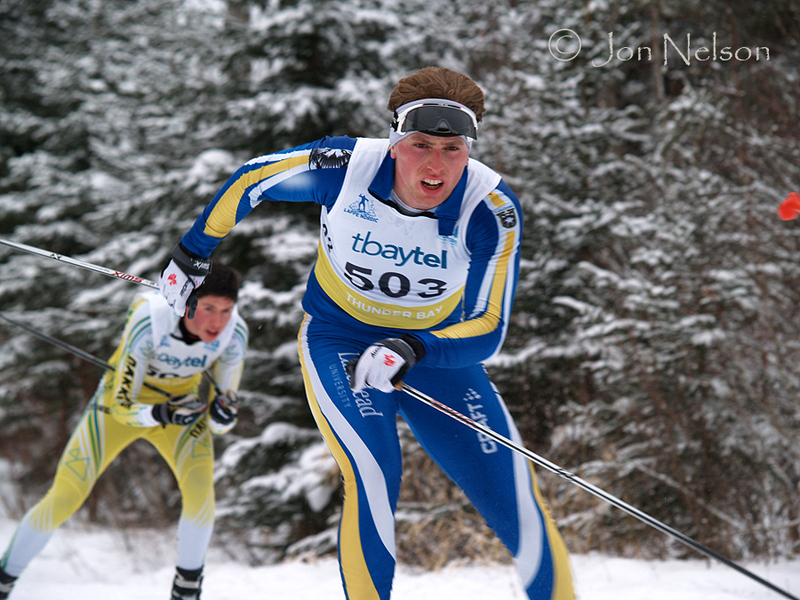 Julian Freitag skates along a straight stretch of the Lappe Nordic track. 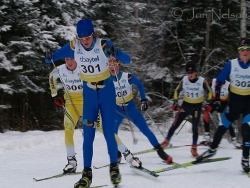 Julian Smith leads a group of Juvenile Boys near the beginning of the 10 km skate race. Ben Taylor starts an uphill in the 10 km Junior Boy's Skate Race. 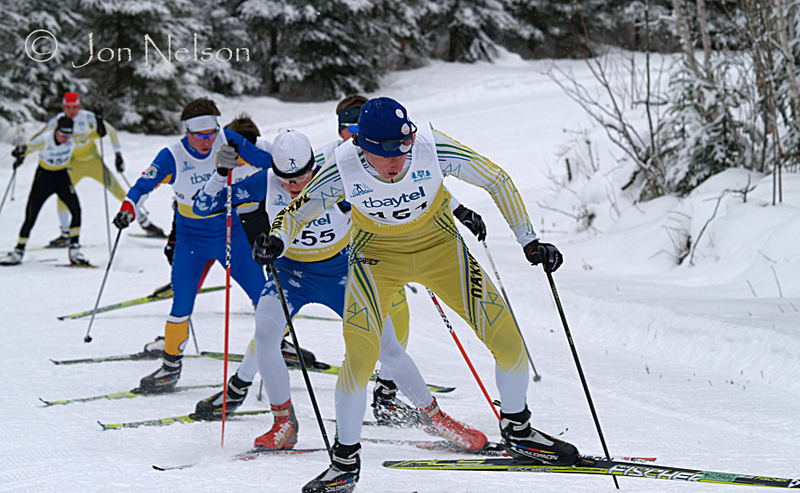 Kieran Jones powers along at the beginning of the 10 km Juvenile Boys race. 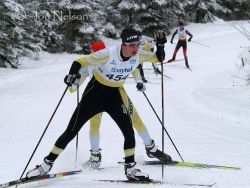 Benjamin Wilkison-Zan won a Bronze Medal in the Junior Boy's !0km Skate Race. 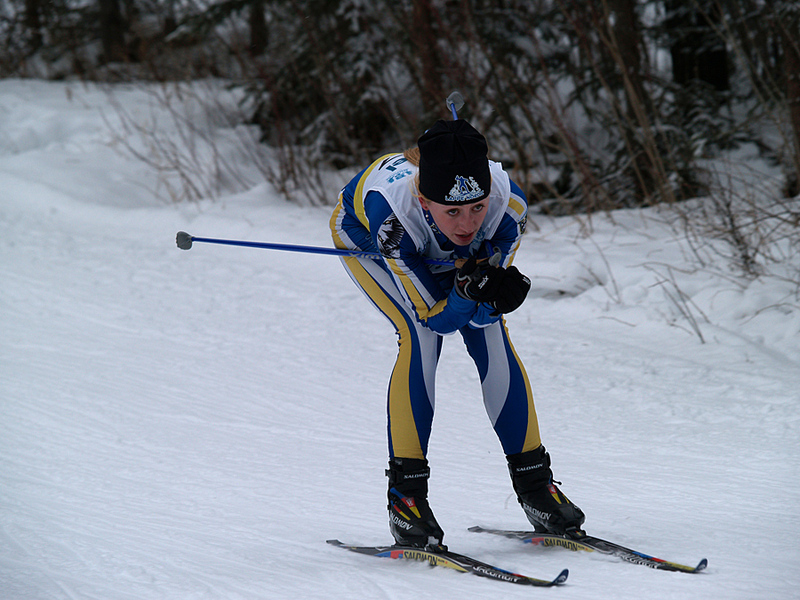 Evan Palmer-Charrette went on to win the Silver Medal in the Junior Boys Skate Race. 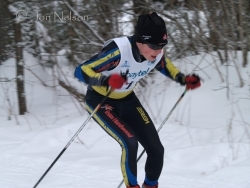 Lucas Shewen works his way up 'the Grunt'. 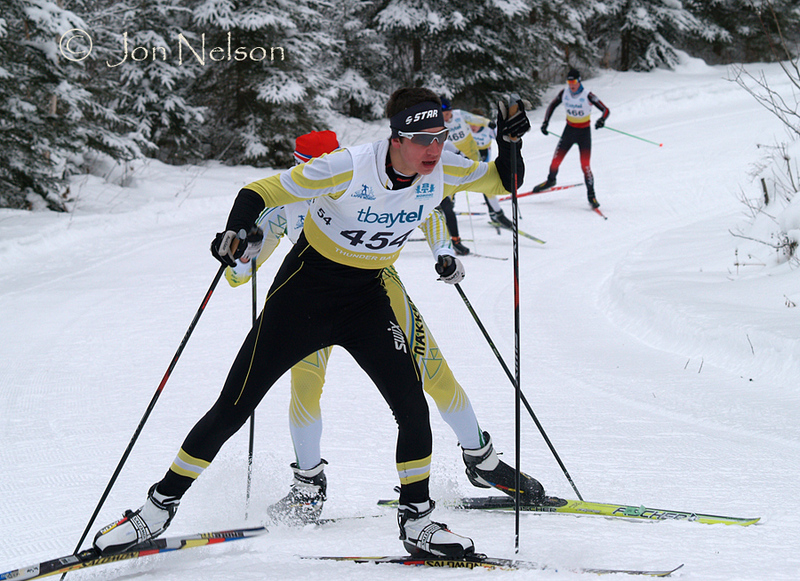 Levi Nadlersmith comes up out of the stadium during the Midget Boys race. 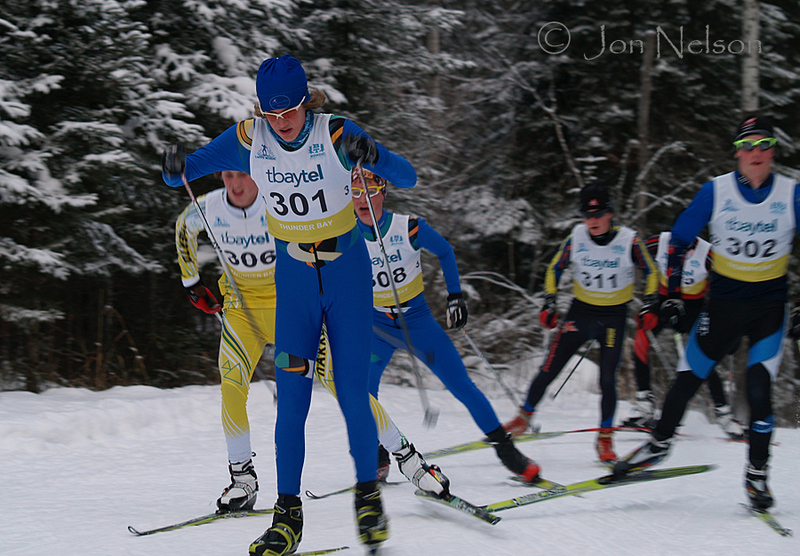 Leif Lennie leads the Senior Men up the the final hill on way to winning the 15 km Senior Mens Stkate Race. 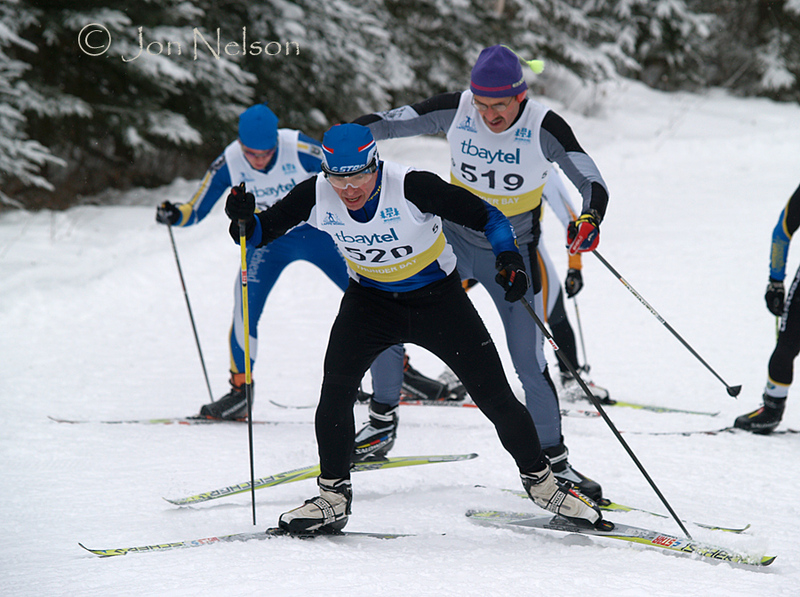 Two men glide by in the tuck position during a skate race at the Lappe Nordic Centre. Greg Kilroy powers his way to a Silver Medal in the 15 km Senior Men's Skate Race. 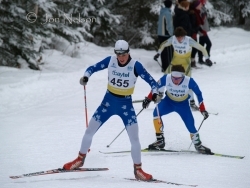 Ari Niemi skis in front of Paul Inkila during the 15 km Master Men's Skate Race. 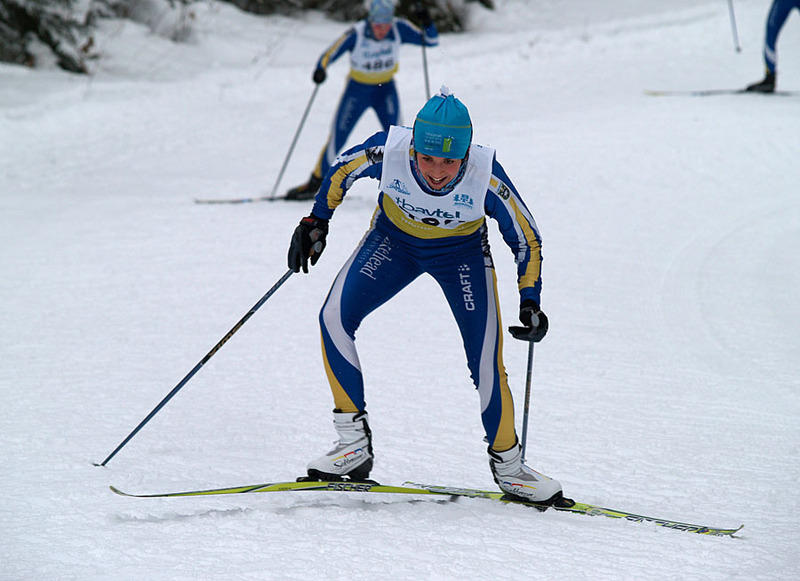 Paul Inkila won Gold and Ari Niemi won Silver.